Last night I went outside with Rosie at midnight. The slightest little dusting of snow had started. Oh good I thought, it will be too slippery to drive to the Dam in the morning, I'll sleep in. And I did sleep in, I got up at 6. Getting up in the dark used to seem mean and uncivilized to me, now I'd have to be sick to willingly stay in bed through sunrise. Life changes everything. 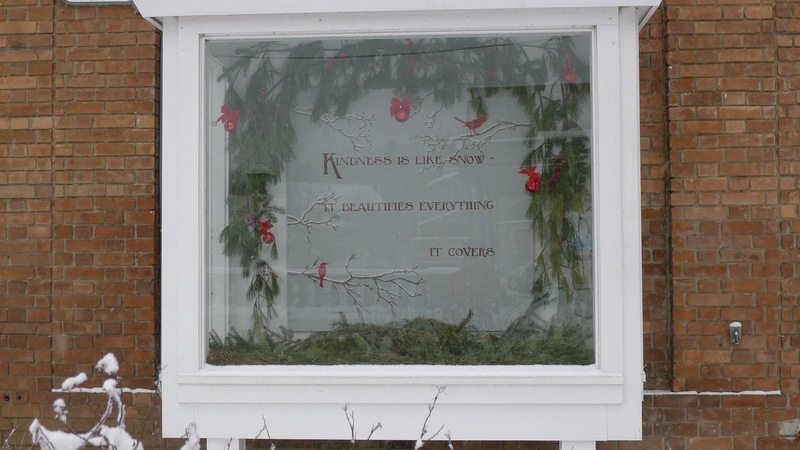 Renee is right, snow and kindness change everything too.